A few weeks ago, Google removed ads from the right-hand side of the search results page, causing confusion and rumours to flourish about what this means for the future of search and advertisers’ search strategies. ExchangeWire gauged the industry reaction at the time, and now there is questioning of Google’s motive behind the change, with talk about it being the start of a long journey for Google on the road to infinite scrolling. 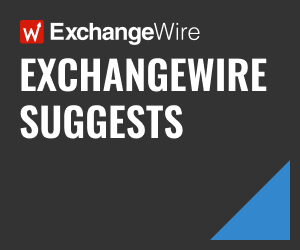 However, before any of that, ExchangeWire wanted to know whether it would cause advertisers to re-evaluate their search budgets in the short- to medium-term and consider moving them over to programmatic display. Before recoiling at this ridiculous notion, a few things need to be considered. Search is an extremely measureable channel, favoured by many direct response advertisers, who adapt their keyword strategies based on the value and performance of each stage of the consumer purchase funnel. The most effective keywords in an advertiser’s portfolio are the brand-based keywords: They have cheap CPCs, as the brand owns the keyword territory; there is generally little-to-no competition; and the consumer has searched for that brand directly, so there is an increased propensity to purchase. This generally yields the advertiser a high ROI and a low CPA. Moving up the purchase funnel, you enter the generic keyword realm. Generic keywords exist to raise awareness of a brand at the point where the consumer is at the research phase of the potential purchase. Generic keywords vary in length, volume, and effectiveness; but the keywords at the top of the funnel are highly competitive, receive very high volumes of search queries, and suffer from extremely high CPCs (thousands of percent higher than an equivalent brand CPC) and low conversion rates. This yields the advertiser a low ROI and high CPA, when looking at these keywords in isolation, which most advertisers don’t. They blend the performance of the different keyword buckets into one big melting pot to justify the performance of search as one channel and not give their CMOs a heart attack when they look at the weekly top line performance report. 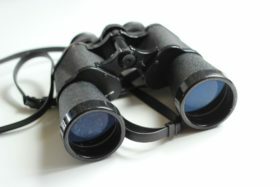 But, if you break down the performance of the different keywords and view brand and generic search as complementary, but separate channels, with separate strategies, you could go as far to argue that generic keyword bidding is the search equivalent of display prospecting, with brand keyword bidding the equivalent of retargeting. That will be considered a stretch by many, as search targets a captive audience, even in the highly competitive generic keyword stakes; whereas display prospecting is targeting an audience using data that infers the audience would be interested in the product. Performance and measurement of search and display obviously can’t be compared exactly side by side. But display prospecting has come an extremely long way in terms of targeting accuracy, due to the proliferation of data; so, it’s likely that the data inferring someone is researching a holiday to France is actually as rich as that person telling Google the exact same thing through a search query. Fundamentally, both rely on the advertiser in question not building a strategy on last-impression or last-click attribution, but instead running an agile, integrated cross-channel marketing approach, which would allow budgets to be tweaked across search and display, as dictated by top-of-funnel performance within both channels. It would be foolish to claim the simplicity of this tactic, and that every advertiser should be doing it, as some have the ability to develop much more sophisticated strategies than others. But, if advertisers are facing higher costs and reduced share of voice in an already competitive search environment then surely, especially if display is an existing investment channel for the advertiser, it is a viable alternative? ExchangeWire were keen to know the views of experts across the industry. 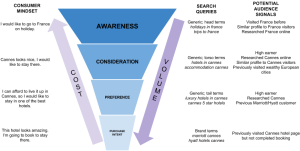 “One of the attractions of search is its lower funnel – and thus easily measurable impact – and low barriers to entry for a wide market. That said, search is just one of many channels and tactics available to marketers; but any other tactic viewed in isolation isn’t going to be the saviour of those seeking out alternatives to PPC. “Yes, retargeting can yield for the lower funnel. However, other programmatic tactics, such as prospecting, work in conjunction with other channels and not as a replacement for them. “Measurement of the assistance given and the interrelationship between tactics is crucial. Without a joined-up, holistic view of media spend impact and subsequent optimisation strategies, marketers aren’t going to be able to look at the whole picture and know where to wisely place their media investments. “Making programmatic work at the level of paid search is not easy and requires two things: first-party data and creative assets that are varied enough to drive results at scale. Both of these aren’t always easily available. With this in mind, advertisers should look to their data to provide clues of where they could unlock potential, whilst being wise to the fact that one-size-fits-all solutions are often a fallacy. “It’s time for advertisers to rethink their measurement strategies. In a last-click world, activities at the bottom of the funnel have inflated incremental value attribution; when, in reality, activity higher up the funnel often contributes a lot more than current conventional thinking supposes. Once we start measuring with more sophisticated tools – evolving from last-click, to advanced attribution, to lifetime value – we’ll benefit from a broader holistic view of the digital ecosystem. “Removing the right hand ads is symptomatic of the mobile-first audience approach. Google has de-cluttered their page to deliver a better user experience that’s consistent and unified across all screens. However, it will have an impact on the search market for SMEs. “Ultimately, it will spark a major bidding war for the remaining sponsorships; meaning only established brands with big budgets are likely to be able to afford this space. Smaller businesses may instead be encouraged to shift their advertising spend to Facebook, where self-service tools and targeting is easy to implement. “The question is, by doing this, is Google’s goal to drive these SME’s and others into display, video, and mobile through programmatic? Or, is this a market recalibration and the first step in an innovative approach to engage brands using search? “Removing right hand ads from Google could certainly result in higher cost-per-clicks in search campaigns. But, if you’ve got a savvy cross-channel marketing strategy, this should not be a major concern. Shoppers today use more channels and the customer journey is incredibly complex. Marketers back themselves into a dangerous corner using a siloed approach for their marketing strategy. But, it is important to remember that each channel has different advantages and disadvantages for targeting customers. “I don’t believe this change will result in advertisers moving budget out of paid search and into other areas, like programmatic display prospecting. The two mediums do not supplant each other, but instead complement each other. Fundamentally, programmatic display prospecting does a fantastic job at reaching consumers higher up the consideration funnel; whilst search continues to be the best channel to reach users towards the end of the funnel and, ultimately, convert them.